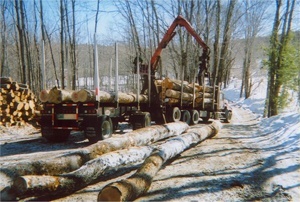 Stillwater Forestry, LLC is the local leading name when it comes to forestry management service work. It is important to know that without properly planned upkeep, your forest land can become unhealthy and unproductive. There is a great deal that goes into keeping your land looking its best and producing for timber, wildlife habitat purposes, hunting or whatever you desire. Make it a point to get a true industry expert on your side, like our professional team. If you need Forestry Management Services, you can count on our Saxtons River forestry management experts! Poplar Package – Four hours invested into physically walking the land followed by a detailed written summary. Spruce Package – Comprehensive inventory as well as a goal plan for growth, covering a ten year time span. Pine Package – Professional assessment intended to help you make your property more profitable. Hemlock Package – Up to five hours or research and identification, boundaries and corners marked and topographic map created. We also offer Birch, Oak, Ash and Maple Packages and all of the packages we offer come with 100% Satisfaction Guarantee. If you are looking for a Saxtons River forestry management professional then please call 1-800-237-9253 or complete our online request form. 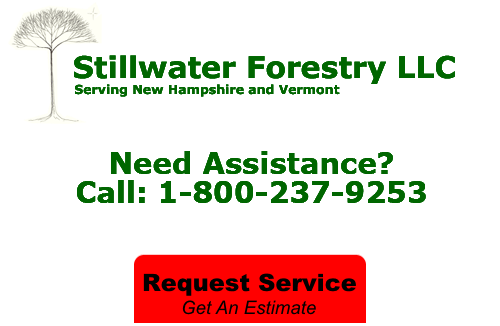 Stillwater Forestry provided an honest, timely, forestry service. All questions we had were answered properly and although we are an out of state landowner, we had no problems to contend with. We will definitely use your forestry services again. I was very pleased with the sale of the timber from my land. Contract was drawn up well. Pre - harvest estimate was on target. Throughout the harvest payments were received promptly and post harvest clean up was handled responsibly.